For many people, red meat is the first animal product to be eliminated from their diets. Unfortunately, that often means they end up switching to chicken. This, in turn, hurts more animals, since chickens are far smaller than cows and pigs. And while all farmed animals experience tremendous suffering, chickens lead some of the most miserable lives of all farmed animals and make up 95 percent of the animals raised and killed for food in the U.S.
We can all make a big difference for these birds simply by substituting chicken with healthy and humane vegan options. 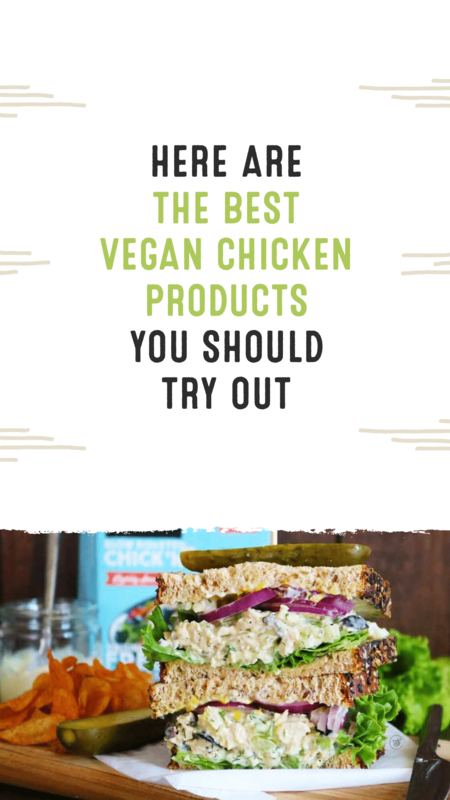 Fortunately, chicken is also one of the easiest things to replace with a vegan alternative because there are so many great products on the market. One of Gardein’s most popular offerings, this product is really the perfect all-purpose vegan chicken alternative and can be used in a variety of recipes. Plus, it’s gluten-free! While the Beyond Burger has made headlines for months, let’s not forget one of Beyond Meat’s first products–its chicken-free strips, available in Southwest-style, grilled, and lightly seasoned varieties. They’re gluten-free and have 20 grams of protein per serving! Found in the refrigerated section of your local grocer, this recipe-ready product from Tofurky comes in several flavors, including tandoori, sesame garlic, Thai basil, and barbecue! These sliders are perfect for lunch or a quick snack when you’re short on time! They come four to a box, buns included. They are easily prepared and can be dressed up with your favorite veggies and condiments! Yes, please! These spicy patties are probably one of the most widely available items on this list, with most grocers carrying some Boca products. These are perfect in a pinch and great on the grill or sliced on top of your favorite salad. There are even vegan chicken sausages, and they will not disappoint! These bad boys are loaded with russet potatoes, diced apples, and wheat berries, making them perfect for breakfast or lunch! While many of Quorn’s products contain egg, this new product is completely plant-based and has 12 grams of protein per serving. These crispy chick’n tenders are delicious, easy to prepare, and sure to be loved by kids and adults alike. Plus, Gardein products are available at retailers nationwide, including Whole Foods Market, Target, and Kroger. Great for kids and perfect for snacking, these nuggets are available at grocers nationwide and take almost no time to prepare. What’s not to love? Not only will these products please even the pickiest eaters; they also have the capacity to spare countless animals a life of suffering at factory farms. And these are far from the only amazing plant-based alternatives–vegan cheese, ice cream, and burgers abound! Click here for a list of our favorites.